January the 15th 2018 is the 50th anniversary of The 1968 Hurricane. A deadly storm that moved through the central belt of Scotland. At the time it was the worst gale in the United Kingdom with the strongest wind gust ever recorded. 20 people were killed and 700 left homeless. This video from Climate Scientist Philip Brohan shows the storm as represented in the Twentieth Century reanalysis : Near-surface wind (vectors), sea-ice coverage (white shading), mean-sea-level pressure anomaly (black contours – solid for low pressure, dashed for high), near-surface temperature anomaly (red for warm, blue for cold), and precipitation (green shading). Many trees were windthrown across the central belt. The total volume estimated to have been windthrown was 45.5 million hoppus feet (1.6 million cubic metres). Photographic records from the archives show some of the casualties in the Edinburgh Garden. Dawyck Botanic Garden was still in private ownership at the time of the storm. 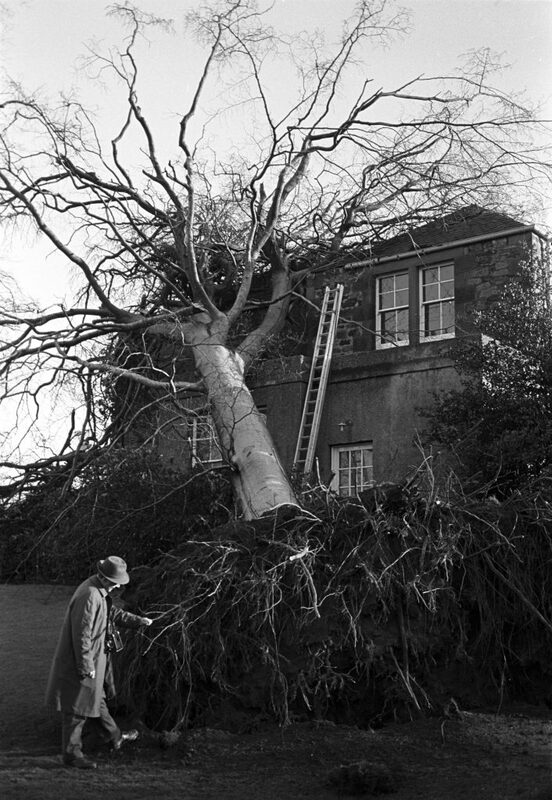 Many of the specimen trees in the garden survived but the damage to trees on the wider Estate was extensive. This was compounded by a second hurricane a year later and was one of the contributing factors that led to the Estate transferring ownership of the 60 acre Arboretum in 1979 to the nation. 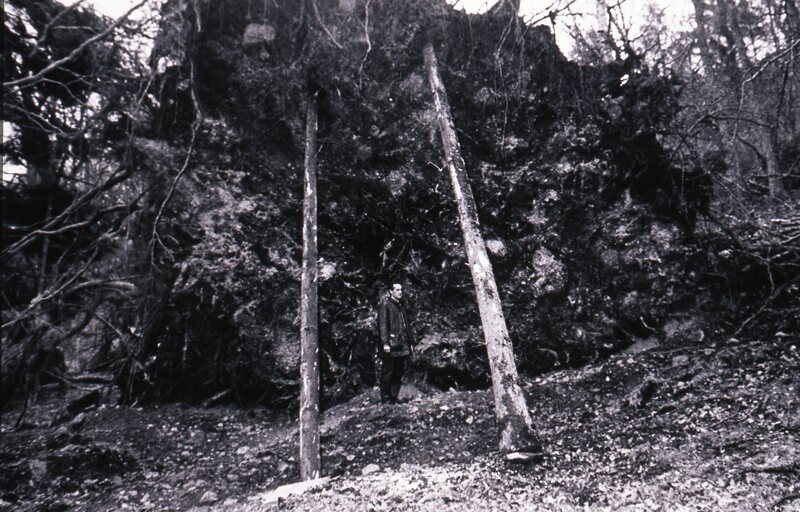 This photo shows an enormous wind thrown root plate of a Sitka spruce at Dawyck in 1968. 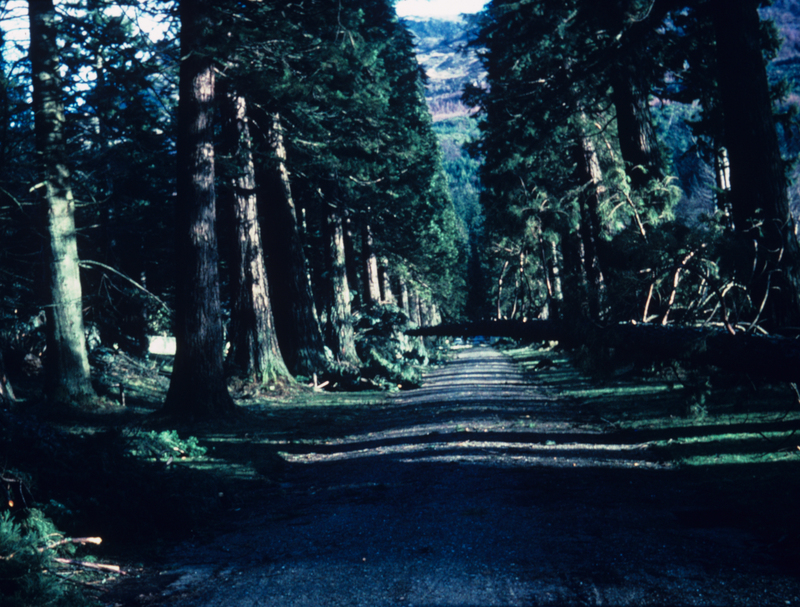 At Benmore, then under the ownership of the Forestry commission the storm felled more than 500 trees over 40m tall, some with girths more then 2.5m wide. It took 4 years to clear the storm damage. 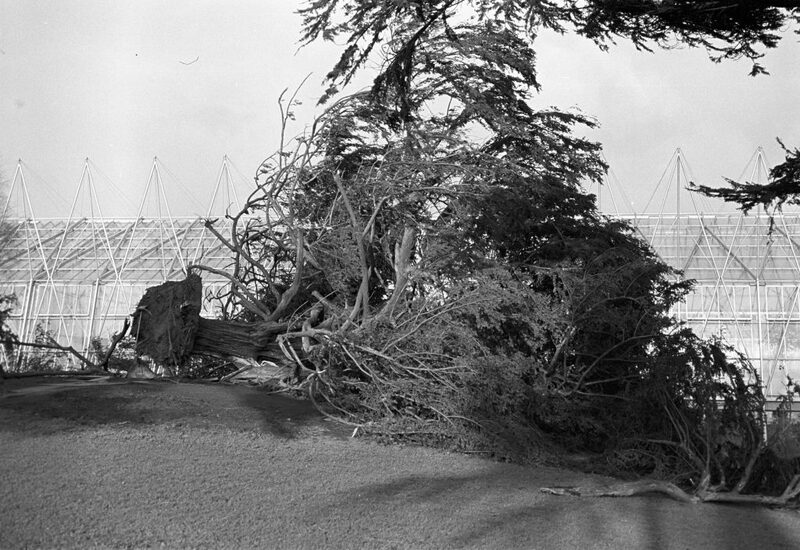 A tree felled by the 1968 hurricane on the Redwood avenue, Benmore. Amazing to see the Sutherland yew. I have often told the story – but never seen this picture. Thank you.